South Bay builder and former beach lifeguard Chris Gerold passed away March 20 at his Redondo Beach home, surrounded by his family. He was 74 and suffering from pancreatic cancer. 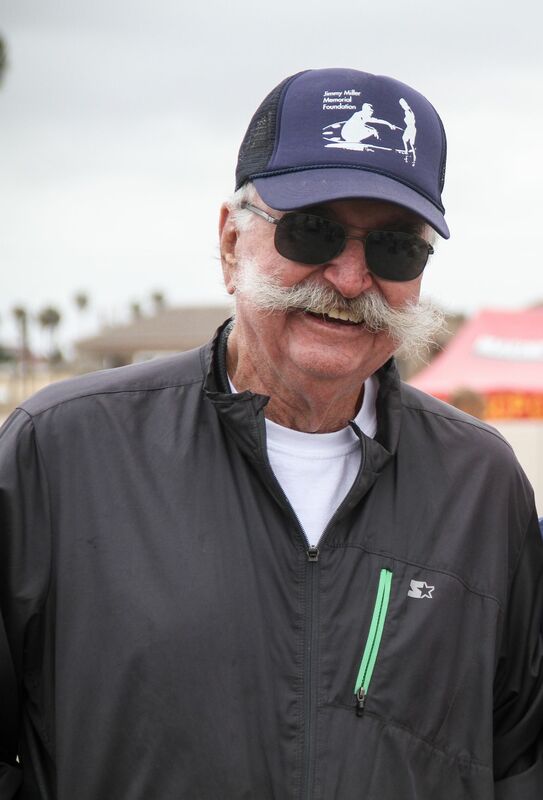 Gerold was known throughout the Beach Cities for his handlebar mustache and driving big trucks with stickers that read NO BAD Days. In the late 1970s, he owned the Golden Nugget restaurant in El Segundo and a door and window business. He subsequently formed Gerold Development, a general contracting business, which he later called NBD. Goat Hill in Manhattan Beach was among the many local developments he was involved in. Gerold enjoyed coaching his children and their friends’ sports teams, even if he wasn’t familiar with the sport, his family said. He is survived by his wife Irene, daughter Tamera and her husband Greg Benedict; sons Matthew and Mark and Mark’s wife Malia Gerold; Meghan and her husband Tony Tealdi; and Mackenzie and her husband Vinny Giglio; and Jason Johnson and family. He had eight grandchildren: James, Charlie, Will, Kai, Nolan, Reece, Wyland, and Weslie. And he is survived by his brother Brian, his wife Debbie and their family. For information on the Celebration of Life, please email rememberingCG@gmail.com.